Bigbury on Sea is situated in Bigbury Bay on the South Devon Coast. It is in the heart of an area of outstanding natural beauty and offers an ideal centre for exploring the region. The safe beach is a mixture of mainly sand and some shingle, perfect for a family holiday. It is backed by low cliffs, and lies on the side of the estuary of the River Avon. There are toilets, disabled access to the beach, a slipway and, during the summer, first-aid assistance and lifeguards are on hand. The beach has a dog restricted area, and there is an area for moored bathing rafts. 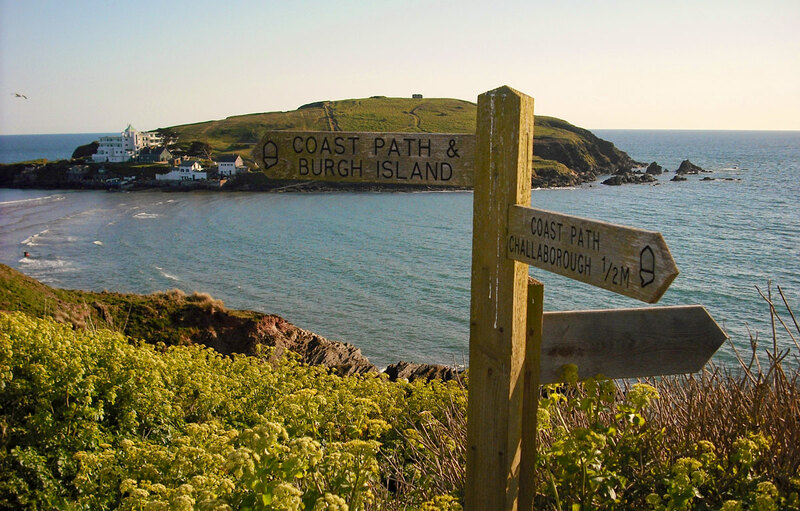 Burgh Island is just off the beach and is accessible across a spit of sand at low tide. At high tide the journey can be made in a sea tractor. This is one of South Devon’s best locations for windsurfing and canoeing. There are some spectacular coastal walks, and a golf course nearby. The small resort is very busy in summer and has a large car parking area. Picturesque Bigbury village is close by and there are pubs, shops, good food at reasonable prices and friendly people. There are lovely views from the village across to the coast. Dartmouth and Plymouth are only a few miles drive away if the weather is not so good.